Dentistry is something that can be overlooked, expensive and painful sometimes but should be talked about a lot more. Good oral hygiene can make such a difference to your overall health and also your looks. Great smiles don't go unnoticed! When I was younger, I had braces for 2 years which wasn't my favourite experience but also made sure I had straight teeth for life and it was over fast. Well almost done for life. I was part of the generation that was told to only wear the retainers (the little plastic guard used to keep them straight) for a matter of weeks after. It is now said that you have to wear them basically semi-regularly for life. Dun dun dun! So with that and my wisdom teeth coming through (and then being taken out which is another post coming soon!) and the retainer not being worn, I have had some movement in my lower teeth. I love my top row of teeth and have had whitening (see post here) and the two front teeth filed so that they are the same size as my others. My bottom teeth have now become crooked again, nothing major just nowhere near like they were. I popped down to my dentist in Oceana Boulevard, Southampton to see Denise, the orthodontist who also does Botox and Hypnosis!! I wanted to hear about her special techniques and also what could be done potentially to my teeth, so I interviewed her to find out more! She is also a member of the British Orthodontic Society, British Dental Association and is a Fellow of the Royal Society of Medicine. Me: What made you want to get into this field of dentistry? Denise: I think I honestly have a leaning towards beauty and art, and orthodontics to me seemed a very useful and helpful way to help people improve their confidence. But from my job satisfaction point of view, it helps me create the most attractive smiles and faces. I try to always arrange the teeth in the best position to have the most attractive face. Thats my philosophy! Me: How many years of experience do you have? Denise: Too many to tell you!! Years and years and I've decided I'm getting younger now and not older. Me: What do you like about this particular practise? Denise: I love this practise and I love the people I work with. I love the situation and the surgery is beautifully designed by Dassi (executive Director). There's lots of light and I think it's a very friendly atmosphere and we all help each other out. We've got time in this practise to really talk to our patients so that they really become friends! Me: Do you have any special ways of working? Denise: Well, I can speak for the orthodontics, I am a highly skilled and specially trained orthodontist. I have a lot of contemporary techniques up my sleeve to use. I use all standard techniques too and recently I prefer to use the more modern and secret techniques such as in-cognito braces (lingual braces) and Clearaliners which are very similar to Invisaline and I use a lot of basically modern train track braces made from Sapphire. I also like using the Damon Technique and as a specialist I am trained in everything, so I can look at my bag of tools and find the most appropriate for each patient. Me: What areas do you cover/what treatments can you offer? Denise: I also do hypnosis and Botox! I developed and interest years ago, because my mum used to suffer from migraines. This inspired me to get trained in medical hypnosis, and I was formerly the president of the British Society of Medical and Dental Hypnosis in London and I've been able to use that to help people who are nervous especially in dentistry. With regards to botox and fillers I was trained in those about 10 years ago and yes I do use them. I find it all very interesting. As people get older often they feel they benefit from a little filler to keep their faces a little more plump and no body likes frown lines! It's accurate injections and accurate placement of products. Me: Do you think it's important to prioritise quality dentistry? Denise: I do think so, but I do appreciate that not everyone can afford it. So therefore we do try to be helpful and present some options, also interest free borrowing options on a monthly basic so we try to accommodate people. But yes, personally speaking I think to have a good dentist that you trust and you feel comfortable with is very high on the list of lifestyle priorities because then you'll be encouraged to look after your teeth to keep them for life. Then coming to the dentist won't be so frightening! Having healthy teeth is so important! Inflamed gums are associated with heart problems and all sorts of diseases, so reducing this is so important to doing your whole body a favour. It's never too late to look after your teeth!! Me: What about patients that are nervous? Denise: We are always happy to see patients for a chat free of charge, to help them understand and also ask any questions they may have and take it from there. Dr Ian Kendal is a Dental Phobia Certified dentist for Southampton and we all take pride in making patients feel welcome and comfortable. 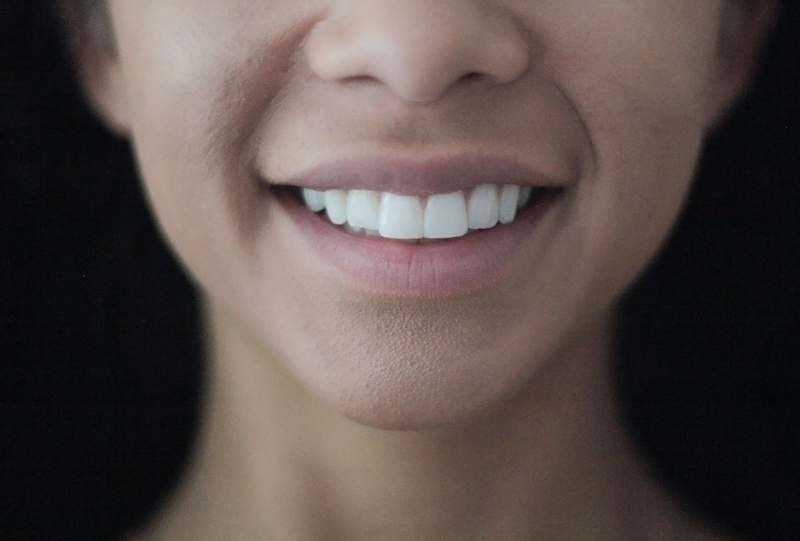 Thank you so much Denise for talking to me and I think I may leave my teeth for now, but at least I know that if ever I want a little straightening out, I can come back to see you and not worry about any ugly braces! !